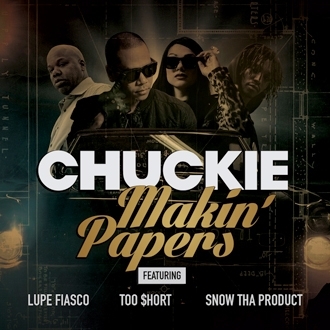 Internationally acclaimed DJ/producer, Chuckie, reveals his eagerly anticipated new single, “Makin’ Papers (Feat. Lupe Fiasco, Too $hort, and Snow Tha Product),” arriving at all leading digital retailers on Big Beat Records. Having earned international fame for his groundbreaking fusion of hip-hop and electronic dance music, “Makin’ Papers” marks Chuckie’s biggest and boldest crossover thus far. The genre-bending track received its world premiere this past Sunday via 50 Cent Presents G-Unit Sundays: The L.A. Leakers the influential SiriusXM radio show hosted by DJs sourMILK and Justin Credible, and broadcast on Shade 45, the uncensored hip-hop channel created by Eminem. Unquestionably among the planet’s preeminent live DJs, Chuckie is slated to rock the globe long into the immediate future, including a high-profile array of club and festival dates here in the United States. 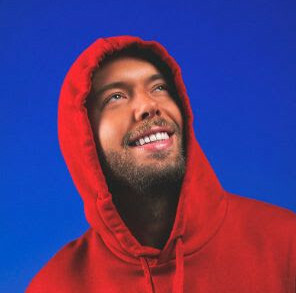 Highlights include the much-anticipated H2O Music Festival, set for August 17th at Los Angeles State Historic Park, as well as a continuing residency at Las Vegas’ hugely popular Marquee Nightclub & Dayclub. For complete details, please find North American live dates below or please visit www.djchuckie.com.